You only thought you were electing a new government. After two years in power the DLP Barbados Government is acting exactly like its corrupt predecessors of the Barbados Labour Party. So let’s have some transparency from Prime Minister David Thompson – who is such a fan of integrity, freedom of information and transparency. 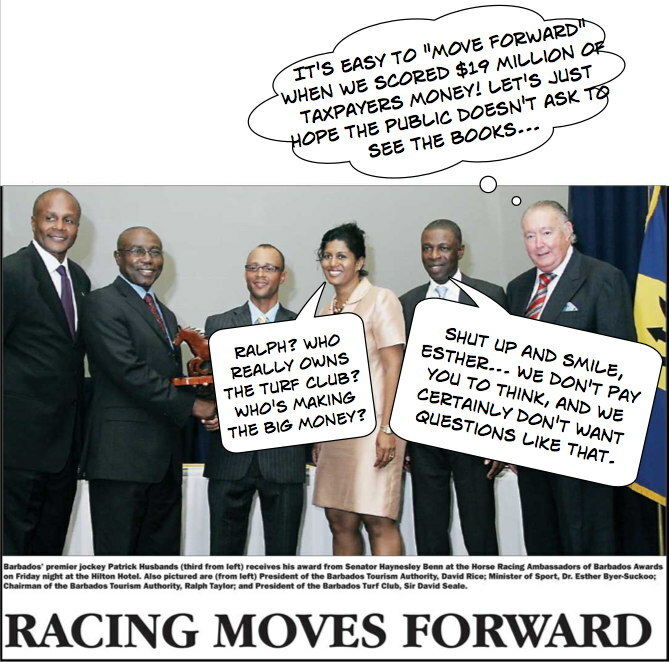 Here are some questions, and I’m sure our readers can help with a few more as the citizens of Barbados attempt to discover exactly how our tax dollars were spent by the wealthy race horse owners of the Barbados Turf Club. 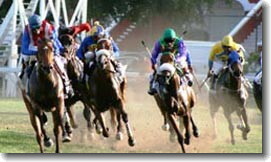 1/ Who owns the Barbados Turf Club? 2/ What assets does the BTC have, and what are its liabilities and to whom are the liabilities owed? 3/ Here is a list of the Board of Directors. How much in cash or other benefits has each person received in the last five years? 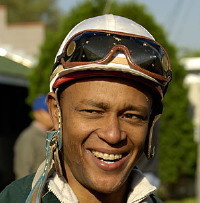 Mr. Luther G. Miller III J.P.
4/ Are any of the Board of Directors or their families or associated corporations amongst the creditors of the Barbados Turf Club who will be or were recipients of any payments from the BTC in the last five years? 5/ Are any politicians of any party, or their family members or associated corporations amongst the creditors of the Barbados Turf Club who will be or were recipients of any payments from the BTC in the last five years? 6/ How much money in “campaign donations” was received by the DLP in the last five years from any of the Barbados Turf Club board members, or their family members or associated corporations?